Khao Yai national park is famous for its natural beauty and a variety of flora and fauna. 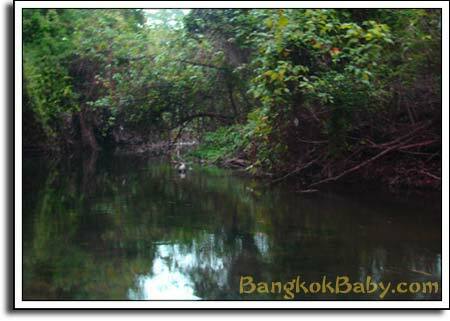 It is the oldest national park in Thailand. Khao Yai is also the second largest national park in Thailand. Khao Yai lies mainly in Nakhorn Ratchsiama (Khorat) province whish is located approximately 260 kilometers northeast of Bangkok. The Khao Yai national park extends across three more provinces in Thailand. They are Saraburi, Nakhon Nayok and Prachinburi. Khao Yai attarcts visitors who love natural forests, waterfalls and plants. The weather at Khao Yai is pleasant compared to many other parts of Thailand. Khao Yai mainly got three seasons, the rainy season, winter and the summer. During the rainy season the temperatures at Khao Yai during day time is about 27° C. Immediately after the rainy season the flowers and fauna in Khao Yai flourishes into a stunning beauty. The rainy season starts from May and last till October at Khao Yai. During November to February it is winter in Thailand. I would say late December to February is the best time to visit Khao Yai. During this time of the year Khao Yai weather is cool with clear sky whish is best for hiking. You can also capture stunning sunsets during this time at Khao Yai. It can get real cold the nights at Khao Yai during this time when the temperature drop upto 10° C.
Even summer season is fine to visit to Khao Yai since the temperature at Khao Yai doesn’t get hot like Bangkok. The average temperature at Khao Yai during March to May could be around 27° C. If you have tired sitting at your Bangkok Hotel room then Khao Yai is just a couple of hours away. I hope many of you have enjoyed the Krabi Photos which I posted the other day. I will soon post some photos I took from Khao Yai. This entry was posted in Places of Interest on February 18, 2007 by Bangkok Boy.